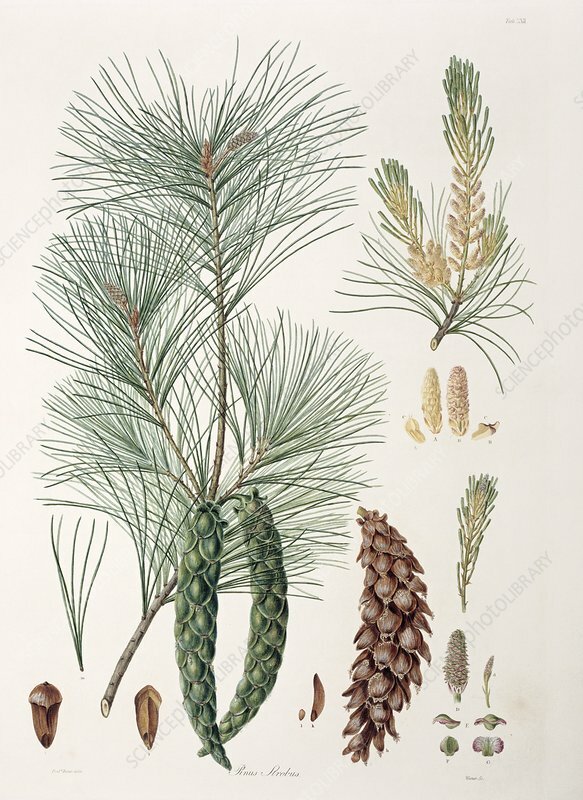 Pinus strobus, 19th-century botanical artwork. This pine tree is variously called the Weymouth pine or the white pine. This is an engraving by Warner based on an original watercolour by Austrian botanical illustrator Ferdinand Bauer (1760-1826). Published in 'A description of the genus Pinus' (1803).